Neuralstem Inc., a 2001 graduate of the Mtech Technology Advancement Program (TAP) incubator, announced that it closed on a $20 million investment from leading institutional and accredited investors in a registered direct placement of 6,872,859 shares of common stock at a price of $2.91 per share. 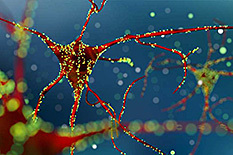 Based in Rockville, Md., Neuralstem, now a publicly traded biotherapeutics company, features a patented technology that enables the production of neural stem cells of the brain and spinal cord in commercial quantities, and the ability to control the differentiation of these cells constitutively into mature, physiologically relevant human neurons and glial cells. "We are very pleased to have raised the capital in this offering from leading institutional investors, including dedicated institutional healthcare investors. With the proceeds strengthening our cash balance, we have the resources to further advance our cell therapy and small molecule clinical trial programs," said Richard Garr, President and Chief Executive Officer of Neuralstem. Neuralstem's NSI-566 spinal cord-derived stem cell therapy is in Phase II clinical trials for amyotrophic lateral sclerosis (ALS), often referred to as Lou Gehrig's disease. Neuralstem has been awarded orphan status designation by the FDA for its ALS cell therapy. Neuralstem was in TAP from April 1997 to December 2001. The company's office space was accented with large, white canopies over its desks, creating a neural network-looking appearance when taken in aggregate. In addition to ALS, Neuralstem is also targeting major central nervous system conditions with its NSI-566 cell therapy platform, including spinal cord injury and ischemic stroke. The company has received FDA approval to commence a Phase I safety trial in chronic spinal cord injury. Neuralstem also maintains the ability to generate stable human neural stem cell lines suitable for the systematic screening of large chemical libraries. Through this proprietary screening technology, Neuralstem has discovered and patented compounds that may stimulate the brain's capacity to generate neurons, possibly reversing pathologies associated with certain central nervous system conditions. The company has completed a Phase I safety trial evaluating NSI-189, its first neurogenic small molecule product candidate, for the treatment of major depressive disorder (MDD). Additional indications might include traumatic brain injury (TBI), Alzheimer's disease, and post-traumatic stress disorder (PTSD). For more information about Neuralstem, visit www.neuralstem.com or connect with the company on Twitter, Facebook or LinkedIn.